They say comedy is tragedy with a healthy dose of time (at least enough for the wounds to scab over). However, it seems that in such tumultuous time as we are now, I find myself asking those old enough to remember the LA riots, the assassination of Malcolm X, Martin Luther King Jr. or President John F. Kennedy, the passing of the Civil Rights Act in 1968, and the murder of Emmett Till [a never ending list no doubt], “is this the worst it’s been?” Answers vary, but one thing remained constant, and that was an audible, uncertain, kind of pause before any sort of response. Our sense of history is slipping, as we’re cast between the idealistic future and the searing past. 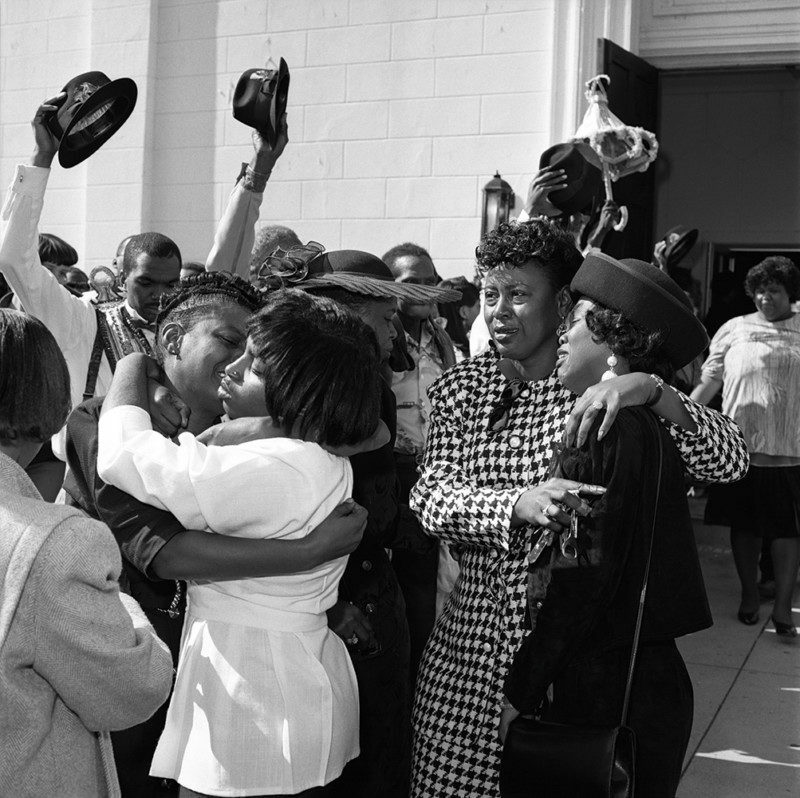 Has it been fifty years since the Civil Right Act? Or, has it only been fifty years since the Civil Rights Act? These are questions that only Art can illustrate, and statistics quantify. Rosalind Fox Solomon has a truly projected our American horror story through her camera’s lens, and captured the complex living nightmare of our heritage and culture. Rosalind Fox Solomon’s (born in 1930) unconventional beginnings has nevertheless led to a wide ranging career as a Photographer; with bodies of work that include(s) documenting the AIDS crisis in the 80’s with photographs and audio recordings from the sick, to Israel and the West Bank in 2010-2011. 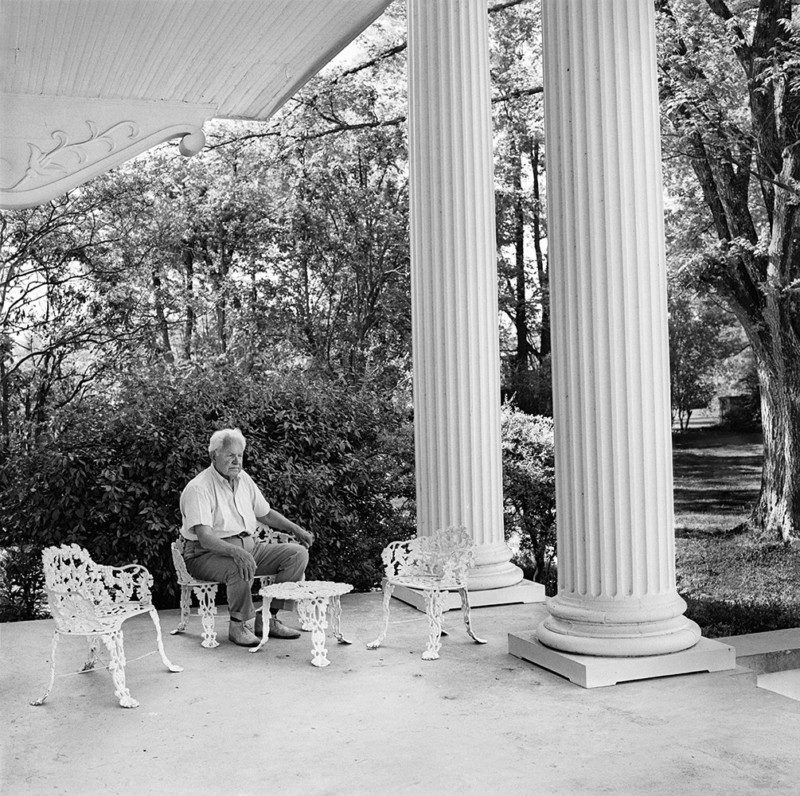 Growing up in the American South, Solomon led a fairly conventional life as a wife and mother until her interest in photography grew exponentially. As a student of the legendary Lisette Model, Solomon first started photographing dolls and mannequins to practice her portraiture, and eventually graduated to portraits of those in her local community. Liberty Theater, while comprised of 61 photographs, seems to have our nations history of race relations baked within every frame. 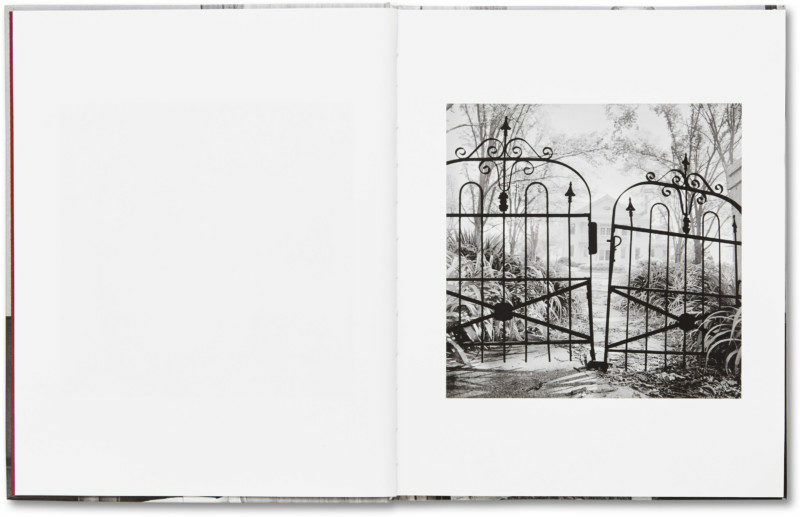 Though the work spans from 1974 to the year 2000, there’s a twisted sense of wholeness that forms a connective bond between each flip of the page, leaving us to believe that the only time between photographs was Solomon stopping to load film. While the edit is nearly impeccable, I’m dying to see what was left on the cutting room floor. Not for what’s missing, but for the individual gems that might never grace the public eye. What makes Liberty Theater so entrancing (and mutually disturbing) is the situational nuance embedded within the photographs. There’s no sense that Solomon is “dumbing down” representations, or what people might call, “southern stereotypes” in Liberty Theater. This isn’t to say Solomon doesn’t take cracks at individuals / groups, but like any good novel or character, it’s not so simple. This isn’t to say there aren’t dashes of humor in Liberty Theater, but the punchlines hard to swallow. There’s one spread that has left me complete mesmerized which was also a point of discussion in Stanley Wolukau-Wanambwa’s essay in Liberty Theater aptly named, ‘The Play Of Freedoms’, and the other you’ll just have to see for yourself. Also, before I go any further, one must acknowledge Wolukau-Wanambwa’s incredible essay at the end of Solomon’s monograph. While only four pages, Wolukau-Wanambwa succinctly pulls together a compounded history of Solomon’s work in relation atrocities committed against Black American’s in the American South that’s just as heartbreaking as it is up-lifting. To talk openly (and honestly), about such matters and complexities is half the battle. 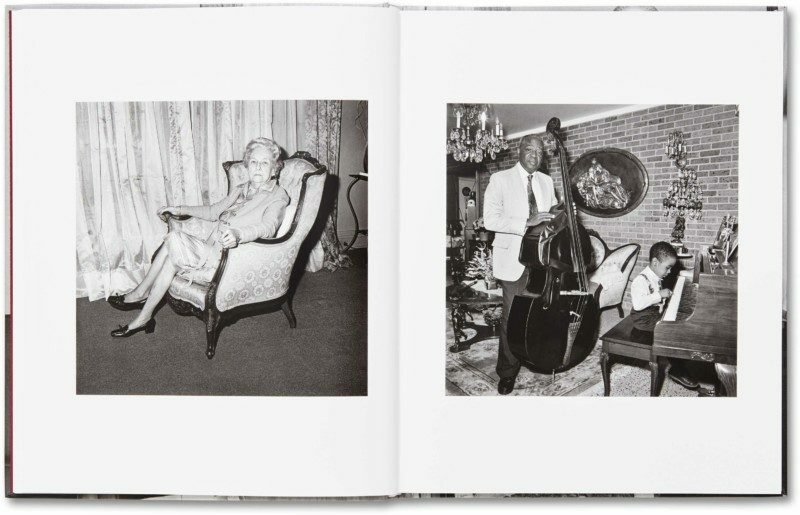 In this spread, we see an elderly woman sitting in a decorative chair (Tennessee, 1977) on the left-hand side of the page, with a Grandfather and Grandson [presumably] to the right playing a piano and standup bass (New Orleans, Louisiana, 1993). While these photographs were taken sixteen years a part from one another, they ‘play’ to each another perfectly. It’s as if Solomon was positioned perfectly between the both of them, and simply photographed their reaction to the others presence and implied performance. 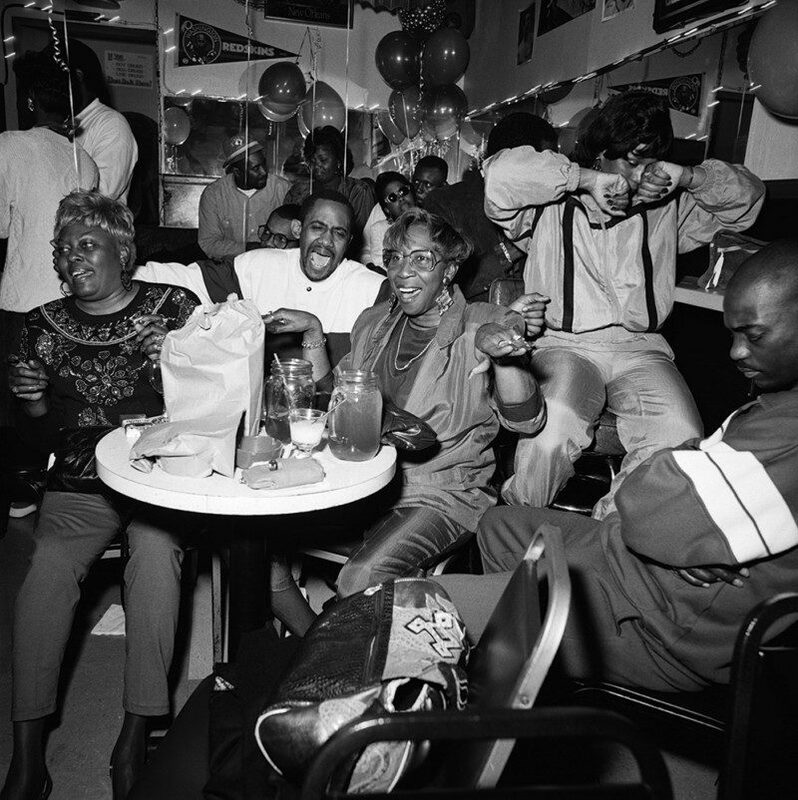 The notion of being allowed in to the party, solely as a source of entertainment is an uncomfortable social truism laid out in Solomon’s monograph, and Wolukau-Wanambwa’s essay. Solomon said in a recent interview done with Jordan Weitzman on his podcast, ‘Magic Hour’, that she felt as if she “carried the cross of Arbus” since Solomon was (like Arbus) a student of Lisette Model. While the masses may have canonized Arbus, count me on Team Solomon. 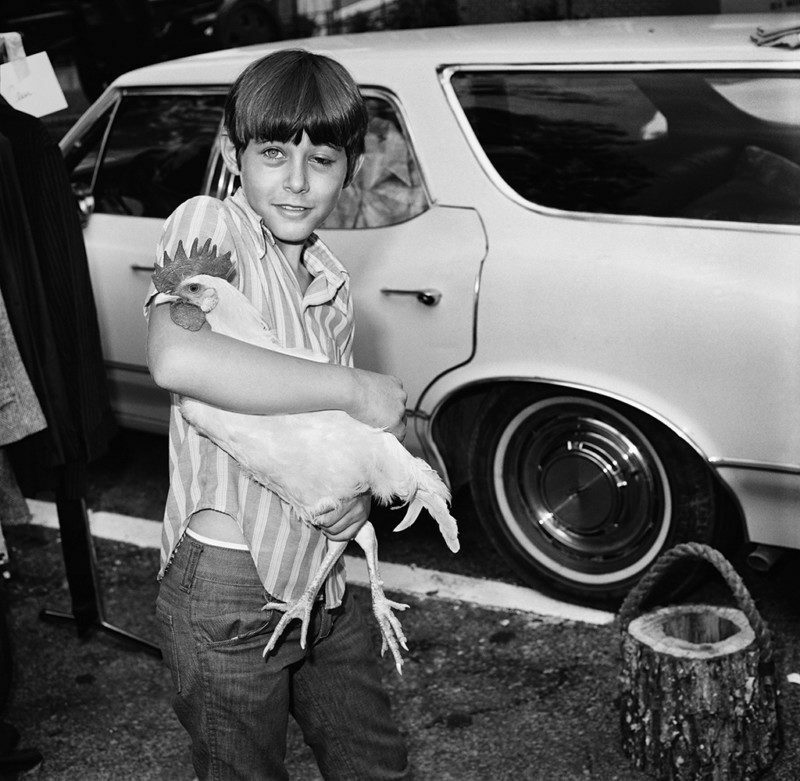 What Solomon has that is missing [in my humble opinion] from Arbus’s photographs is a poignant sense of personhood; the connectivity of the gaze. 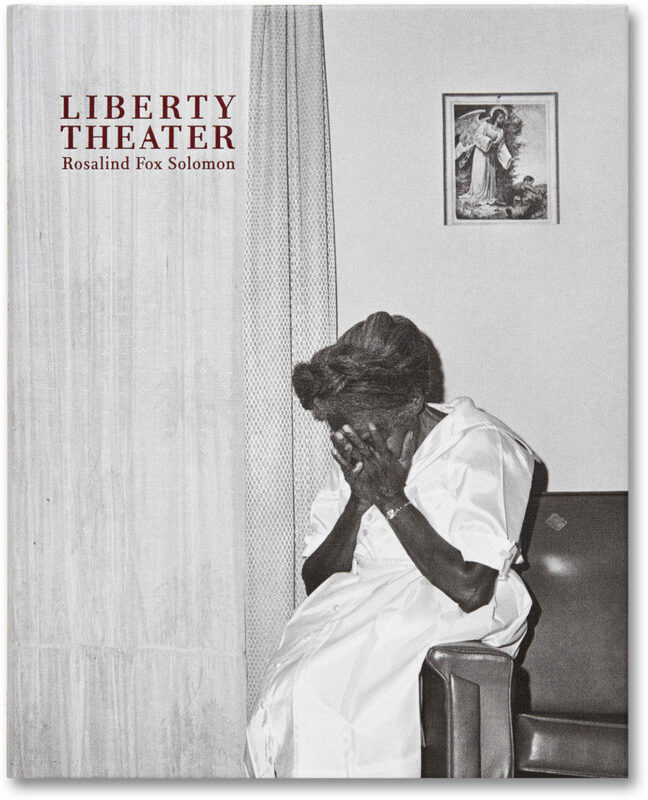 While this is by no means a new conversation (Bruce Silverstein Gallery did a show of Model, Solomon, and Arbus, covered excellently by Yevgeniya Traps in The Paris Review), Solomon’s acute sense of hostility and grace rings true in Liberty Theater. To view more of Solomon’s work, visit her website here. 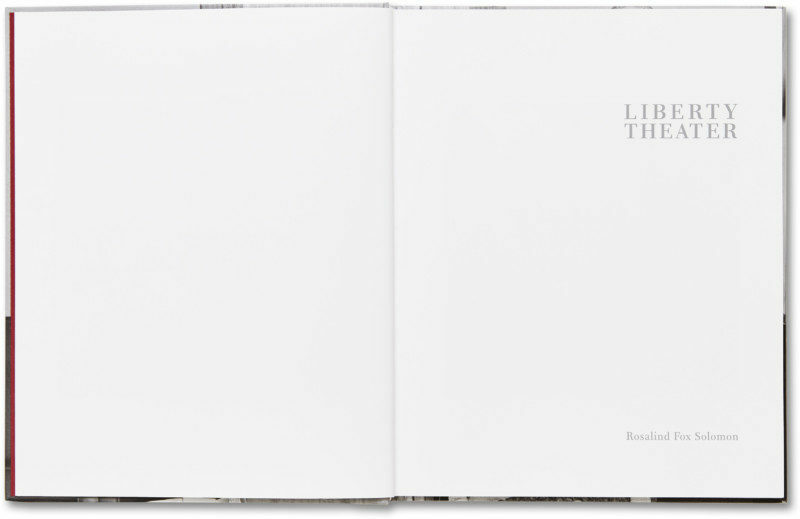 To buy the book via Mack Books, visit their website here.